Dentist: Dr. Fan Liu D.D.S. Our team at Westhill Dental Clinic is made up of caring, fun, hard-working individuals. We try to foster a comfortable environment, and patients often find themselves laughing with or at us while they’re in the dental chair. We believe very strongly in preventative dentistry. It’s important to us to demonstrate and encourage proper brushing and flossing techniques. Dr. Liu often tells patients that he expects them to floss after every meal until they’re at least ninety-seven years old. Hi. I am Dr. Fan Liu, and I have worked at the Westhill Dental Clinic since 2006. Thanks to the support of my patients, especially those loyal, long-term patients from the Parksville-Qualicum area, our clinic has developed into a successful, modern dental clinic. We now have a wonderful team and new up-to-date equipment to better care for our patients. I have to confess that to my new patients that my biggest drawback as a dentist is my accent. I was not born and raised in Canada. I was born in China and came to Canada in 1990, so my English is rather like “Chinglish”. I am not as knowledgeable as most other Canadians are on subjects like hockey, baseball and movies, but I have embraced Canadian life, and my dentistry education is 100% Canadian educated. I received my first round of university education in China, where I attended medical school and practiced medicine for a few years before coming to Canada. When I immigrated to Canada, I worked in medical research. I then received my second round of university education at Western Ontario University, where I completed my Doctor of Dental Surgery degree in 2001. My dental training is completely Canadian, and my background in medicine has (possibly!) been helpful in my clinic. My dental practice philosophy is to try my very best for all the cases and to get the best results possible for every patient. In order to provide the very best results for my patients, I must carefully spend time on each step of every procedure. My patients may spend a longer time in the chair, but this is necessary for me to complete the work with a perfect-as-possible result every time. I don’t cut corners, and I don’t mind spending the time to educate my patients on the methods needed to get the best long-term results for them. What his staff have to say: Dr. Liu is an honest and trustworthy person. He will give you his honest opinion regarding dental treatment. He is extremely hard-working; he barely ever takes a day off work. He will do everything in his power to save your teeth. Even if it is a very difficult case, he will tackle it. He is a perfectionist and only gives the highest standard of quality treatment to his patients. He is very fair with his staff and patients. This makes him a good boss. If you don’t understand his “Chinglish” (as he calls it), ask any one of the staff members what he said because we are now all fluent in “Chinglish”. I have been a dental assistant for 32 years and have worked in a variety of dental offices over the course of my career. I love dentistry and am so grateful to have been a part of it all these years. I love being part of a team and being able to make a difference in all our patients’ dental experiences. Four years ago, I moved to the island from Vancouver and was lucky to find Dr. Liu and Westhill Dental Clinic. 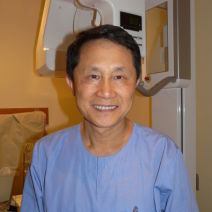 Dr. Liu is really an amazing person and an exceptional dentist. He truly cares for his patients’ overall well being. The care and time he gives his patients and his expertise in all asepects of dentistry are rare qualities. There is nothing he can’t do – complicated surgery, endodontics, crown and bridge, impants, periodontic surgery and restorative dentistry – he does it all. I have learned so much thse last few years working with Dr. Liu and feel very lucky to be part of his team. Amarjeet is a big part of the team at Westhill Dental Clinic, and her smiling face is the first thing that a patient will see upon entering the Clinic. She has a dental background, graduating as a dental assistant in 2001 from VIU, Nanaimo. 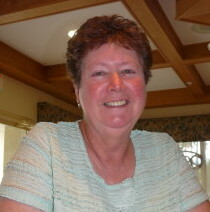 She has worked as an assistant receptionist, making her a great asset to any practice. 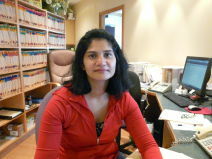 Amarjeet came to Westhill Dental in 2010 as the full time receptionist. Amarjeet’s polite, upbeat, and professional attitude is appearent in all her dealings with patients and staff alike. She works well with the rest of the team. When Amarjeet is not at work she can be seen working out at the gym or enjoying a movie at one of the local theatres. 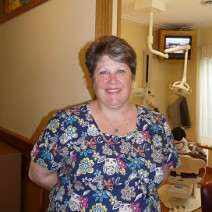 Linda comes to the clinic with 20 years of dental reception experience. She currently works as a part time receptionist and interim office manager. She is cheerful, empathetic, and hard working; always ready to check on patients and answer questions. I am pleased to work with the fantastic team at Westhill Clinic. When dr Liu asked me to come and help out at the clinic I was motivated to come out of retirement to work here. I have found that the staff works well with each other and are great with the patients. Dr Liu is one of the best dentists I know. He is a perfectionist and will try to save teeth, no matter how complicated the treatment. He truly cares about his patients and is willing to go great lengths to get the best results for them. He takes time to explain the treatments to patients. I do not hesitate in recommending him to my friends and family. Located in the Westhill Centre in Nanaimo BC.